Do they play cricket in Netherlands? If not why is Wax wearing a codpiece? That dress is hideous even for Maxima. She’s missing her sparkle but I think the loss of her sister is weighing heavy on her which is understandable. I think you hit the nail on the head, she has had a more subdued aura about her since her sister's death imo. The holidays will be hard for her I imagine, hope she gets tons of support (I'm sure she will). We all suffer loss, but to have to handle it in the public eye must be pretty tough. Max never, ever disappoints. Terrible outfit, but she's so hilarious that it doesn't matter. Maxima is very good at exuding happiness, joy and being interested in everyone and everything. What she isn't good at is pulling a serious face on solemn occasions. It just looks 'off', she doesn't look solemn, she looks constipated. 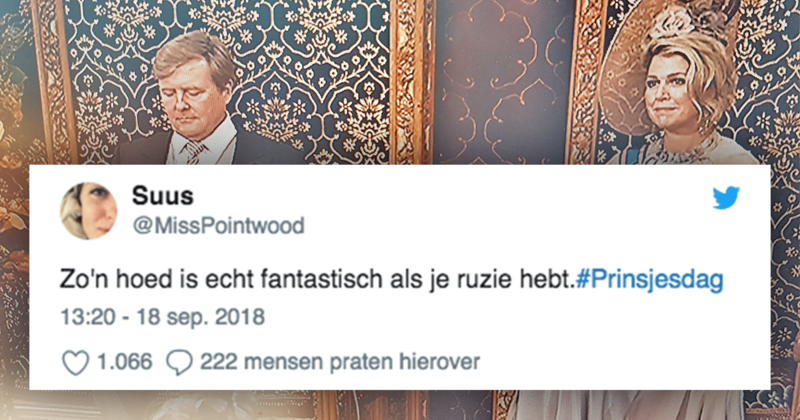 I've started noticing it during the Dodenherdenking ceremony a while ago. She makes a 'serious' face, but it doesn't look right. 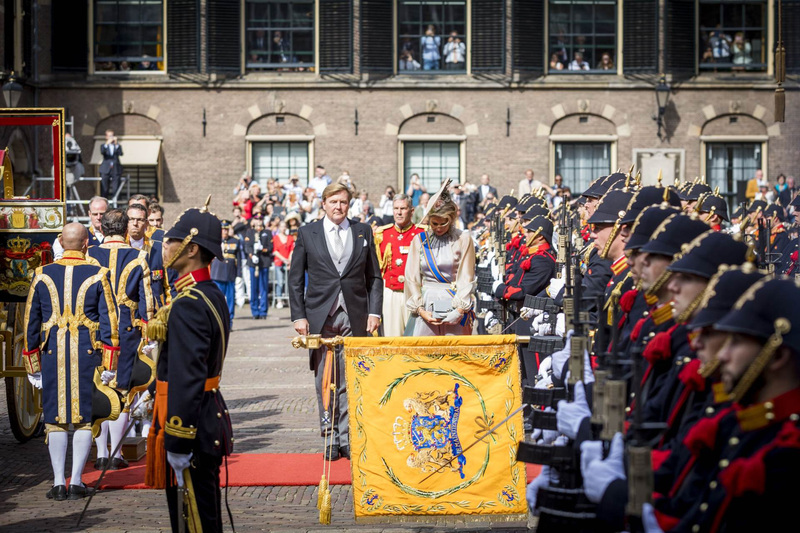 I get that you can't smile widely during Dodenherdenking or greeting the flag during Prinsjesdag, but if she would simply not smile it would be enough. No need to contort her face into something it's not meant to do. Her dress was ... not good. I kind of hope she gives it a second outing for an evening event with some bling. I'd like to see if it's any better for another event. I agree Pix. She can wear anything. Very true Snow Queen. If you are a long time RD poster, we had similar discussions about Letizia expressions and body language in the months and even a year or two after Erika's death. What's up with that wearing one glove only?? If you are going to wear rings the size of Jupiter leave the gloves at home "gurl you ain't Micheal Jackson"
Cod piece? someone say, codpiece? getafix-Info on Max's and Laurentian's dresses etc...Max's dress is by Louisa Beccaria. It's the Iridescent Multicolor Georgette Long Dress. So nice to see Queen Bea! She is looking wonderful as well. I have said it before, but Max really is top of the list of Royals that I think I could sit down and have a drink with and have a genuinely good time chatting with. I know I am late but I’ve been busy with school but I would like to know at what point the Triple A team will begin attending the event. Once they start would we be seeing less of other family members?